The 10th Annual Washington County READ Event will be held at Unity Theatre on Thursday, October 19, 2017, from 5:30-7:00 pm. The community is invited to attend this event and hear the author Paulette Jiles give answers to the whys, wherefores, and hows that went into writing News of the World . ​Unity Theatre will present a dramatic reading and refreshments will be served. Please be our guests for this evening of community enjoyment. The READ program encourages community members to read and discuss the same book. To hear reviews of the book at various groups within the community, please contact Suzette Moser at smosercommedia.com. News of the World, a National Book Award Finalist, is by Paulette Jiles- a poet, memoirist, and New York Times Bestselling author. The story is set in the 1870’s and starts in north Texas where Captain Jefferson Kyle Kidd, an elderly widower, makes a meager living by traveling to small towns reading newspaper articles to paying audiences. He is offered a fifty-dollar gold piece to deliver a young girl, Johanna, to relatives after she had been rescued from her captors. Johanna had been captured by the Kiowa Indians four years earlier after watching her parents and sister being killed. The story is about the seventy-one-year old man and the ten-year-old girl as they travel the 400 mile journey to San Antonio through dangerous, undeveloped territory. Post Civil War Texas is wild and lawless. She knows no English and does not want to return to relatives she does not know. The bond they establish is the core of this beautiful story and of finding unexpected love. Paulette Jiles was born in Salem, Missouri, and raised in small towns in both south and central Missouri. She graduated from the University of Missouri (KC) in Romance Languages. After graduation she worked for the Canadian Broadcasting Corporation in Toronto and in the far north of Ontario and in the Quebec Arctic, helping to set up village one-watt FM radio stations in the native language, Anishinabe and Inuktitut. She says she became reasonably conversant in Anishinabe but Inuktitut was just too much. She taught at David Thompson University in Nelson B.C. and spent one year as a writer-in-residence at Philips Andover in Massachusetts. After returning to the U.S. permanently in 1995, she now lives on a ranch in Utopia, TX. Her other best sellers include Enemy Women, Color of Lightning, and Lighthouse Island. Books are available at the Nancy Carol Roberts Library, Blinn College Library, Book Nook and and as an ebook. In the coming months, reviews of News of the World will be given to various groups in the community. 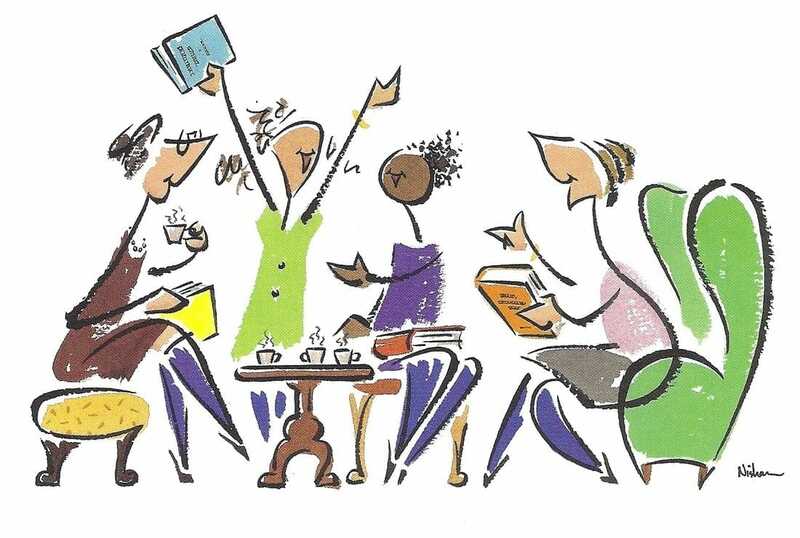 If your book club, church, or organization would like a book review, please call 979-353-1089. Sponsors of the READ program are Unity Theatre, Brenham Banner Press, KWHI-KTEX, Washington County Chamber of Commerce, Nancy Carol Roberts Library, Blinn College and Brenham ISD. The READ committee has also announced Arthur Hahn, Managing Editor of the Branham Banner Press and Tom D. Whitehead, President and General Manager of KTTX/KTEX radio will serve as Honorary Co-Chairmen for 2017. Join other Lifetime Learning members in September for the Washington County READ proclamations. Please arrive 10 minutes early for a photo opportunity. This is a great way to support and publicize the READ. The Washington County READ is Thursday, October 19, 2017 at 5:30 at Unity Theatre.